The E-1700 was developed to increase your job speed and profitability. 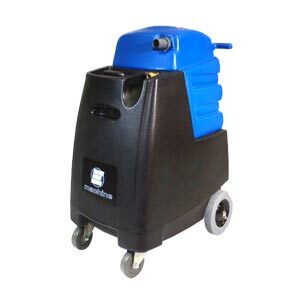 Features like its 17 gallon solution tank are designed to substantially extend your cleaning time between fillings. Offering top mounted connections, molded dolly and carry handles, the E1700 portable extractor gives you more mobility, reliability and capacity…all in one package. With two different pump options and two different vacuum motor configurations, you can choose the machine that best fits your needs. 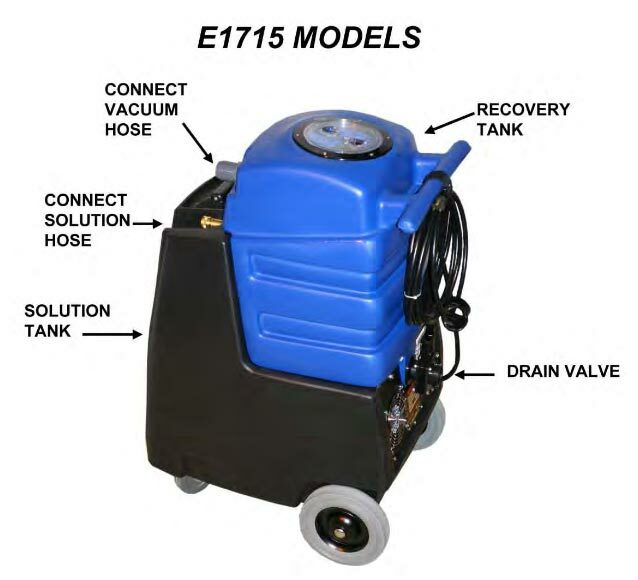 The E1700 is also available with an 1850 watt internal inline heater that will produce water temperatures up to 200F.